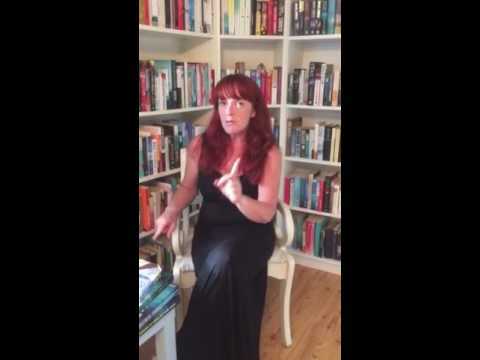 BleachHouseLibrary.ie: The Woman at 72 Derry Lane by Carmel Harrington. Exclusive Extract and Giveaway. 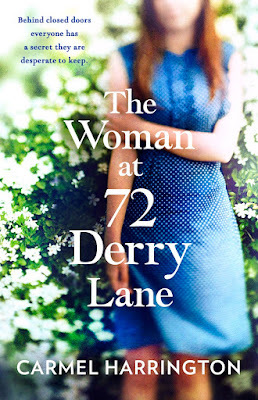 The Woman at 72 Derry Lane by Carmel Harrington. Exclusive Extract and Giveaway. Thanks to Harper Collins, I have the pleasure of sharing a sneak-peek at the latest novel from Carmel Harrington, published on 15th June. 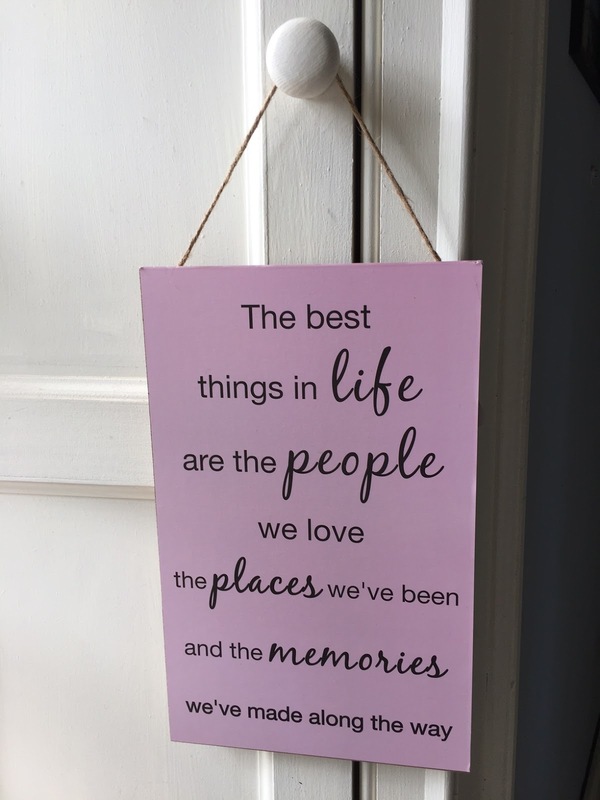 There is also a chance to win one of two signed early editions of the book and a little extra prize (for twitter followers) of an A4-sized wooden wall plaque, which I thought captured the feeling of Carmel's novels perfectly. Twitter winner will also receive a signed edition of the book. 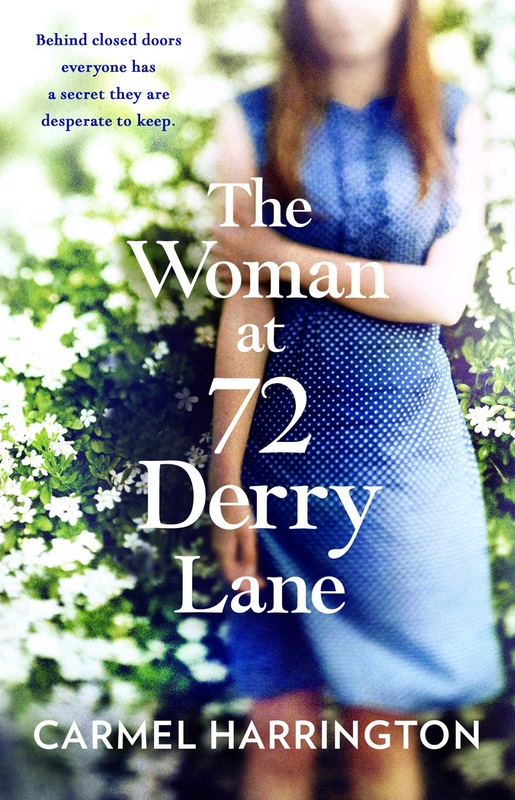 To be in with a chance of winning The Woman at 72 Derry Lane, just enter via rafflecopter link below. To enter twitter competition, see pinned tweet @margaretbmadden. Good Luck! With the warmth and wit of Maeve Binchy and the secrets and twists of Liane Moriarty, this is the utterly original and compelling new novel from Irish Times bestseller Carmel Harrington. Looking at the trees, Stella thought that maybe next door was her answer. Her gut, her every instinct told her that despite the gruff exterior, her neighbour, Rea, was a good person. It had to be her who called the Gardaí each time. That showed she cared, didn't it? So, before she had a chance to talk herself out of it, she found herself knocking on her neighbour’s door. 'When you get to my age, that's something that comes with the territory,' Rea smiled. 'First of all, please don't be offended by this question, but I need to ask it all the same,' Stella said, leaning in. 'I gave up believing in God a long time ago,' Stella replied. Stella smiled, thinking that she liked that idea a lot and liked Rea even more. 'Well, leaving God and confessionals aside, would you take my word for it, that you can trust me?' Rea asked. Stella felt her shoulders sag with relief, nodding. Her heartbeat accelerated so rapidly she thought it would jump out of her chest and bounce clear across the floor, right out the door. 'I want to leave him,' Stella said. 'Good for you.' Rea had never been so glad to hear a statement in her whole life. Maybe this one had more about her after all. Stella nodded, looking so broken, lost and very alone, that it made Rea's stomach flip nervously for her. 'You've got nobody?' Rea asked. When Stella nodded, Rea felt something give deep inside of her. The girl’s face looked so sorrowful and bereft and she recognised how that felt. 'I have family living in France. That's where I'll go,' Stella shifted her weight slightly, wincing in pain as she did. 'You've got to get out of that house sooner rather than later. Do you hear me?' Rea said, her voice rising in anger. 'Well then, that's the first thing you have to work out. How to get back the Stella you were before he came into your life. As for being trapped, the only person who can hold you back, is you,' Rea said. 'Thank you,' Stella said, almost breathless with gratitude. The Woman at 72 Derry Lane is published by Harper Collins in Ireland on 15th June 2017 in TBP and ebook format. 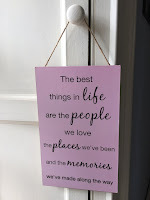 Love the sound of this book, great post. The life you left...although I've not read it, it's on my wish list! Another fab looking book by Carmel Harrington. Every Time A Bell Rings is one of my favourite books by the author so far. 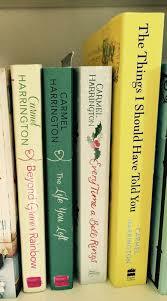 My favourite of Carmel's books is Every Time A Bell Rings. Beyond Grace's Rainbow. Loved it. "The things I should have told you".